Fr. Scott Traynor talks about the importance of “spiritual friendship or companionship”. He discusses “heart-sharing” between spouses, but also in friendship with others. He give us models on how this can look. Fr. Scott also helps us to understand the difference between ordinary relationships and the unique gift of the “spiritual friendship”. What is a healthy sharing relationship and what are the signs of unhealthy ones which we may want to avoid. In Father Scott Traynor’s book, Blessed John Paul II’s memorable call to make of the parish a school of prayer takes on flesh and becomes concretely attainable. Those you read these faith-filled pages will find renewed desire to create such parishes and a clear road-map toward this goal. Father Scott Traynor received his STB from the Pontifical Gregorian University and his JCL from Catholic University of America. He has been an instructor and spiritual director for many of the programs at the Institute for Priestly Formation. Father Traynor is a retreat master and spiritual director who has travelled the country as a speaker at various conferences, diocesan gatherings and national conferences.. He is especially sought after to present on the topics of prayer, discernment and priestly identity and mission. 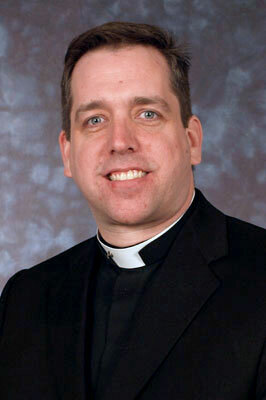 He serves the Rector of the St. John Vianney Theological Seminary in Denver Colorado. Fr. Scott Traynor talks about how God wants to have an intimate relationship with us. What is the dynamic of this relationship? He longs for us to freely give ourselves to Him. Fr. Scott talks about the gift of our imagination and what is true spiritual reality as opposed to fantasy. How do I tell the difference? What is the nature of the effect? Is it lasting or does it evaporate after the experience? Is Jesus in the center of the reality we are encountering? He describes the use of Lectio Divina, the praying with Sacred Scripture, that helps us to enter into the deeper relationship we are called to by God. Fr. Scott explains the difference between the Ignatian and Carmelite understandings of “contemplation”. Is there an ordinary Catholic “mysticism”? Do we miss it? Father Scott Traynor received his STB from the Pontifical Gregorian University and his JCL from the Catholic University of America. He has been an instructor and spiritual director for many of the programs at the Institute for Priestly Formation. Father Traynor is a retreat master and spiritual director who has traveled the country as a speaker at various conferences, diocesan gatherings, and national conferences. He is especially sought after to present on the topics of prayer, discernment and priestly identity and mission. Fr. Scott Traynor talks about the fear of pain. He speaks of the difference between true and false suffering. The gaze of the Father transforms our pain. How do we invite Jesus into the heart of that pain? Fr. Scott helps us to recognize the “mine field” we navigate in our lives and how it affects our relationship with God, especially in prayer. He speaks abut the “hazards” in spiritual desolation. Jesus can “disarm” those “landmines”, if we allow Him in. We should never travel in the “mine field” alone. Fr. Scott also talks about the importance of silence and discernment. To attend to moment of God’s loving gaze. Fr. Scott Traynor talks about the suffering of fear. Thoughts, feelings, and desires all come into play in our understanding of this topic. Wherever there is fear there dwells an experience of pain and wounding, which perfect love desires to heal. The love of God is the remedy and our prayer opens the door to healing and/or union with the One that loves perfectly. Our response in not trusting that love and areas of unforgiveness can be a block to that healing. How do we, in our united prayer with God, overcome this obstacle? Philippians 4:4 Rejoice in the Lord always. I shall say it again: rejoice! Fr. Scott Traynor talks about how we have to do more than just talk about prayer. He discusses how we must “live” our prayer in the union of love within the heart of the Holy Trinity. That is the goal of Christian prayer. He goes on to describe the very nature of the Holy Trinity….the relationship of love between the Father, the Son, and the Holy Spirit. Fr. Scott Traynor begins this series on prayer by describing how Jesus Christ desires a deep personal relationship of the heart with each of us and how this is the true foundation for the New Evangelization. He discusses the adventure of the life of faith and the gifts the Father wishes to shower upon us in union with Jesus Christ and the Holy Spirit. He breaks open the reality of the indwelling Holy Spirit, who is the great teacher of prayer. Fr. Traynor encourages us to grow in union with Trinity through opening our hearts in prayer.